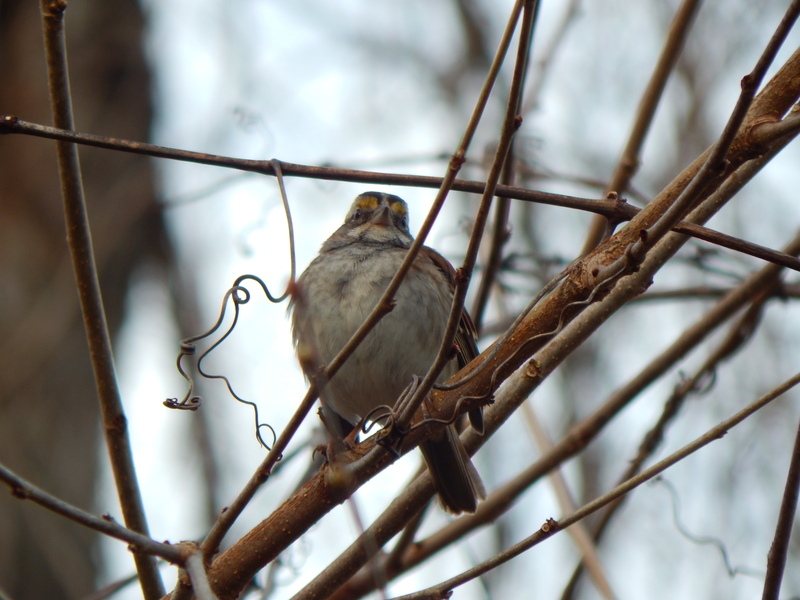 The White-throated Sparrow (Zonotrichia albicollis) is a passerine bird of the American sparrow family Emberizidae. It measures 15 to 19 cm (5.9 to 7.5 in) in length with a wingspan of 23 cm (9.1 in). They are similar in appearance to the White-crowned Sparrow, but with white throat markings and yellow lores. There are two adult plumage variations known as the Tan-striped and White-striped forms. On the White-striped form, the crown is black with a white central stripe. The supercilium is white as well. The auriculars are gray with the upper edge forming a black eye line. 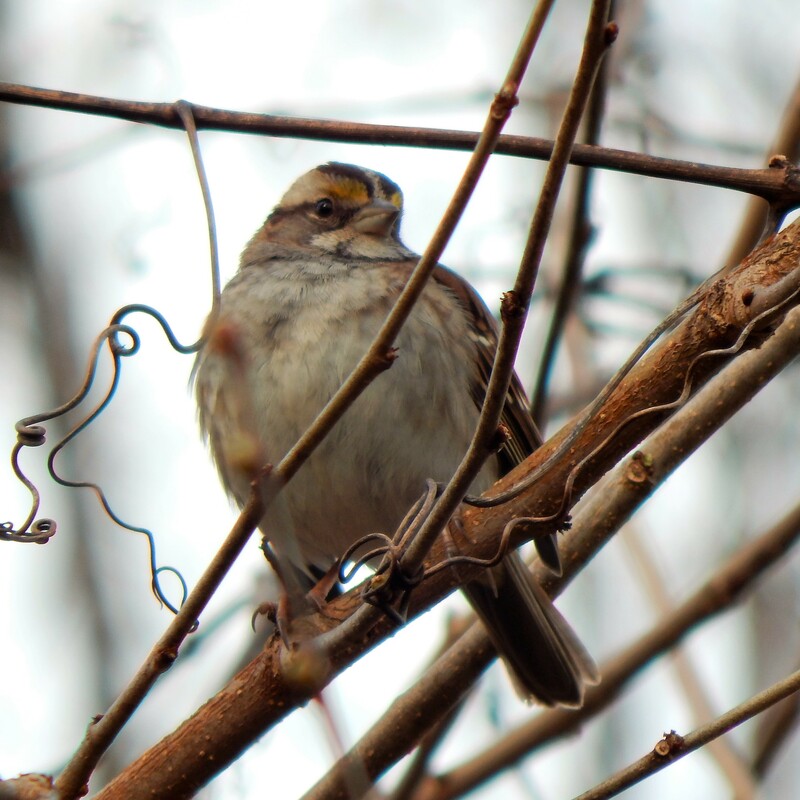 The White-throated Sparrow comes in two color forms: White-crowned and tan-crowned. The two forms are genetically determined, and they persist because individuals almost always mate with a bird of the opposite morph. Males of both color types prefer females with white stripes, but both kinds of females prefer tan-striped males. White-striped birds are more aggressive than tan-striped ones, and white-striped females may be able to out-compete their tan-striped sisters for tan-striped males. Although they look nothing alike and aren’t particularly closely related, the White-throated Sparrow and the Dark-eyed Junco occasionally mate and produce hybrids. The resulting offspring look like grayish, dully marked White-throated Sparrows with white outer tail feathers. The oldest recorded White-throated Sparrow was at least 14 years, 11 months old when it was recaptured and re-released during banding operations in Alberta.